A function is called continuous if it displays no jump at small changes of the argument between these points. Graphically such a function is depicted as a solid line with no gaps. The proof of the continuity of the function at the point is carried out using the so-called ε-Δ arguments. ε-Δ definition: let x_0 belongs to the set X, then the function f(x) continuous at the point x_0 if for every ε > 0 there is such Δ > 0 that |x - x_0| < Δ it follows |f(x) - f(x_0)| < ε. The function is continuous on the set X if it is continuous at each point. 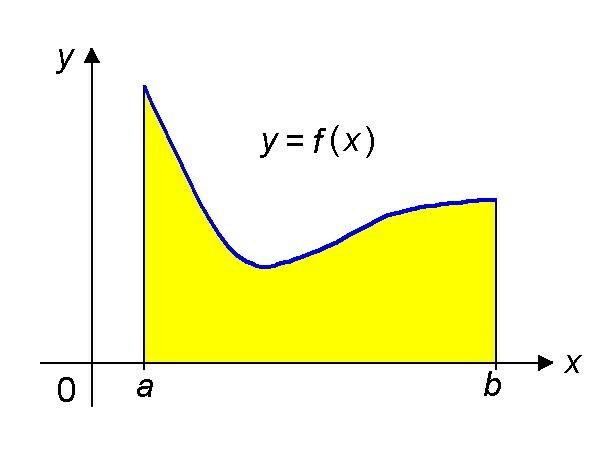 Another definition of continuity: a function f(x) is continuous at the point x = x_0 if the increment of the function at this point is infinitely small. I.e. f(x) = f(x_0) + α(x), where α(x) is an infinitesimal for x tending to x_0. Example 1: prove the continuity of the function f(x) = x^2 at the point x_0. | x^2 – x_0^2| = |x^2 – 2*x*x_0 + x_0^2 + 2*x_0*x – 2*x_0^2| = |(x – x_0)^2 + 2*x_0*(x – x_0)| < ε. Solve the quadratic equation (x – x_0)^2 + 2*x_0*(x – x_0) – ε = 0. Find the discriminant D = √(4*x_0^2 + 4* ε) = 2*√(|x_0|^2 + ε). Then the root is equal to |x – x_0| = (-2*x_0 + 2*√(|x_0|^2 + ε))/2 = √(|x_0|^2 + ε). Thus, the function f(x) = x^2 is continuous when |x – x_0| = √(|x_0|^2 + ε) = Δ.
f(x) = C (constant); all trigonometric functions sin x, cos x, tg x, ctg x, etc. Example 2: prove the continuity of the function f(x) = sin x.
Δf = sin (x + Δx) - sin x.
Δf = 2*cos((x + Δx)/2)*sin(Δx/2). The cos function is restricted for x ≤ 0, and the limit of the function sin(Δx/2) tends to zero, therefore, it is infinitesimal when Δx→0. Work limited functions and infinitely малоq value and hence the increment of the original function Δf is also an infinite small value. Therefore, the function f(x) = sin x is continuous for any value of x.